Bruce Rowse is a man with a passion. That passion is energy efficiency and helping businesses meet their clean energy targets. Bruce's business, 8020Green works with clean energy businesses to improve their performance. He recently spent time in Vanuatu, presenting at a conference promoting energy efficiency in maritime transport in the Pacific, discussing initiatives to improve energy efficiency on board ships and in maritime port infrastructures, alternative and cleaner fuel provision to ships and new technologies and innovation in port and shipping. Bruce's article on our Reservoir home ran in the most recent Ecolibrium journal, focusing on how a carbon positive house in the Melbourne suburbs can also be a very comfortable family home. As Bruce says, "People like Kyle, who are willing to put their money where their beliefs are… I have huge respect for that kind of commitment, they are helping pave the way for visionary companies like Habitech to transform our homes into ones that are much gentler on our environment." 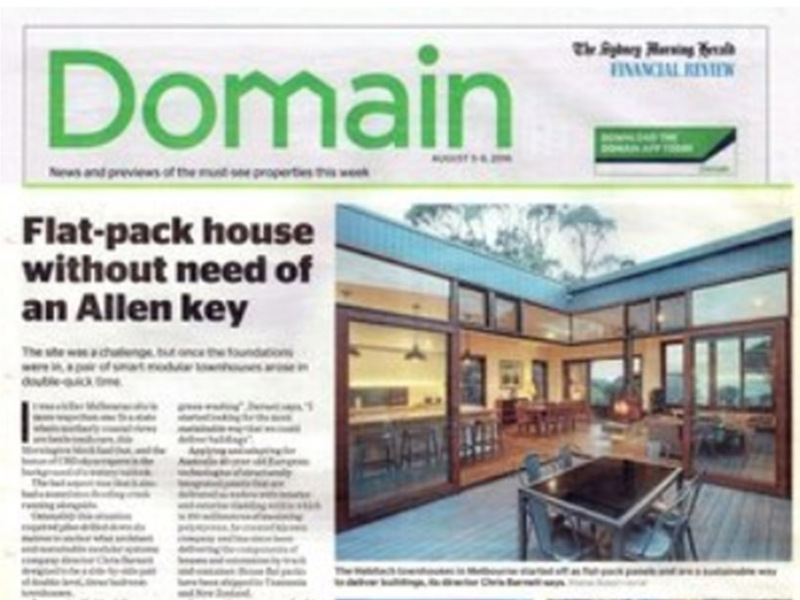 Thanks for the article Bruce and best of luck with 8020Green! The 80-20 principle states that results are disproportionate to effort – and that roughly 80% of results will come from 20% of effort. So 20% of actions produce 80% of the carbon savings.